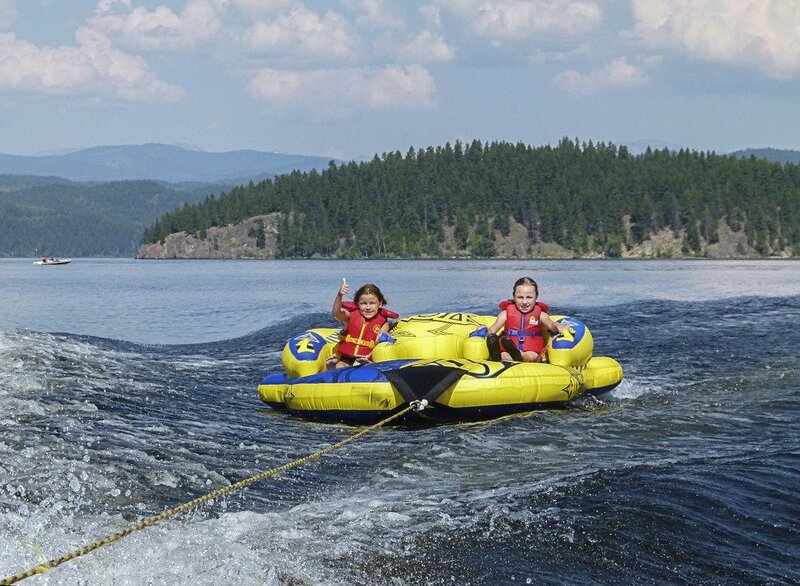 You’re ready for a full day on the water! You’ve got your fishing rods, towable tubes, and snacks. You’ve thought of everything! Maybe there is only one thing you’ve left out…privacy. Good news! Now you can bring that along, too! 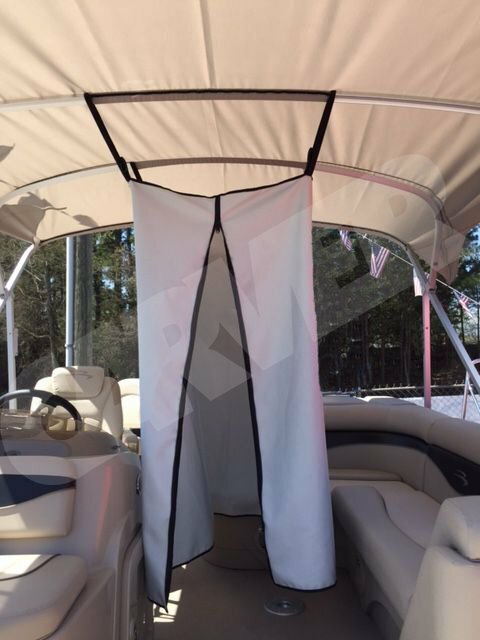 Boat Covers Direct® is proud to offer a Privacy Curtain by Carver Industries made to use with any 4-bow top. Just simply attach it to the short bows of your Bimini and it is ready. They are very handy when you need a changing room or portable potty enclosure. The Bimini top Privacy Curtain is made of gray marine grade polyester called Poly-Flex and it attaches to the bows of the Bimini top with 1” polypropylene straps with quick release buckles. The curtain is 60” tall but the height is adjustable. 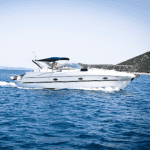 While you’re sprucing up your pontoon’s Bimini top, why not consider a change in the color? 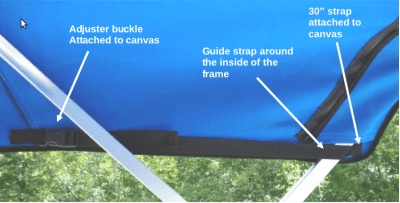 This is easy to accomplish with a Bimini top replacement canvas. To ensure you get the correct size, just measure your frame from front to back over the top of the frame down the center. We offer lengths of 8’, 9’, or 10’ and our replacement canvases are made with zippered sleeves to ensure they will fit onto your frame. Designed to fit nicely on many manufacturer’s frames, the canvas is fabricated with adjuster straps on the corners to take in any slack. We offer a full line of replacement canvases in Sunbrella, Sun-DURA, Poly-Guard, or white vinyl. Don’t let little things like a lack of privacy or a faded Bimini top spoil your fun! 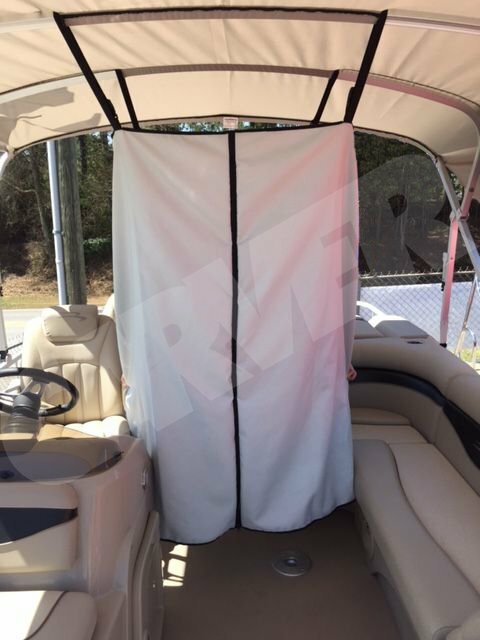 The Bimini Privacy Curtain will give you just the right amount of portable discretion and the Bimini replacement canvas will make your pontoon showroom beautiful! Give us a call at 1-866-626-8377 to order yours today! Next: Trailer, Slip, or Lift – Which Boat Storage Option is Right For You?